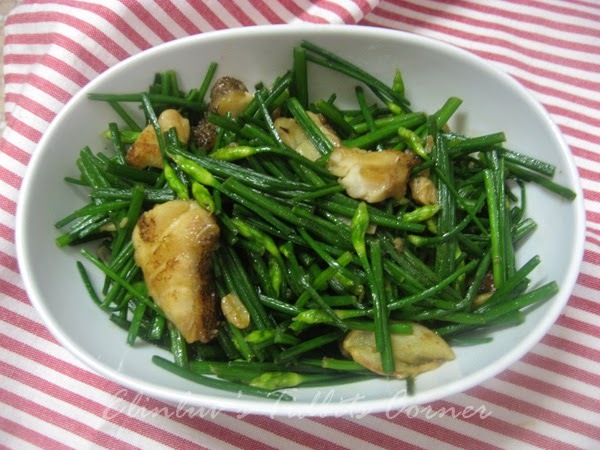 A simple yet delicious dish...love the aroma of stir fry chinese chives with lots of garlic. I added slices of fish fillet instead of prawns. 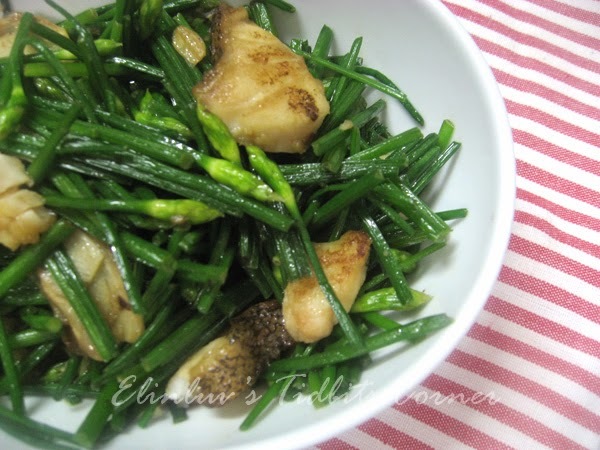 My mom used to stir fry these chinese chives with chicken innards. Chicken gizzards and liver are our favourites but due to eating healthy , I have substitute them with fish fillets :) So freaking healthy...right? Surprisingly, WB loves it even though this was my first time introducing the dish to him. It seemed his mom never cooked this for them...mmmm so I can conclude that my beloved mom in law doesn't like the smell of this chinese chives :) thus WB never get to eat this chinese chives. and gently blend the fish fillets into the chives. this dish is so yummy good that I will cook this again for sure ! Heat up wok over high heat, add in olive oil and saute garlic slices till aromatic. Add in marinated fish fillets and stir fry till cooked. Dish up and set aside. Add in the chives and stir fry till it is cooked. Add in a pinch of sea salt for taste. 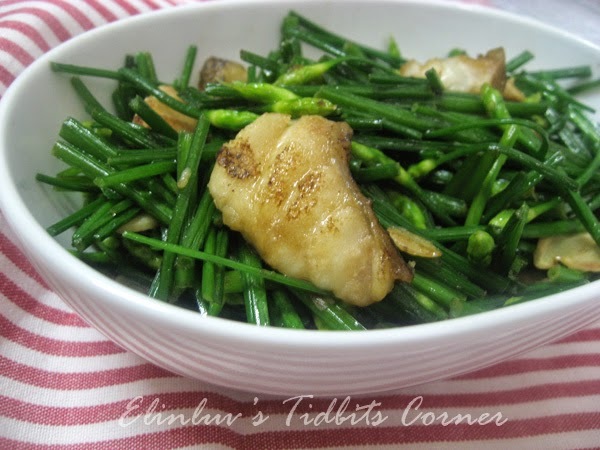 Add in the cooked fish fillets and gently stir fry till the fish fillets are well combine with the chives. Add in the thickening . Once gravy thickens, dish up and serve with rice.